Drive the behaviors ideal for your company. Create your own incentives staff report for manager approval and bonuses. Create any type of tasks you want completed by specific roles in the company. For instance, have customer service specific tasks or technology specific tasks. Keep it fresh and add new tasks anytime. Send us a spreadsheet of tasks or create them in the Company Admin. 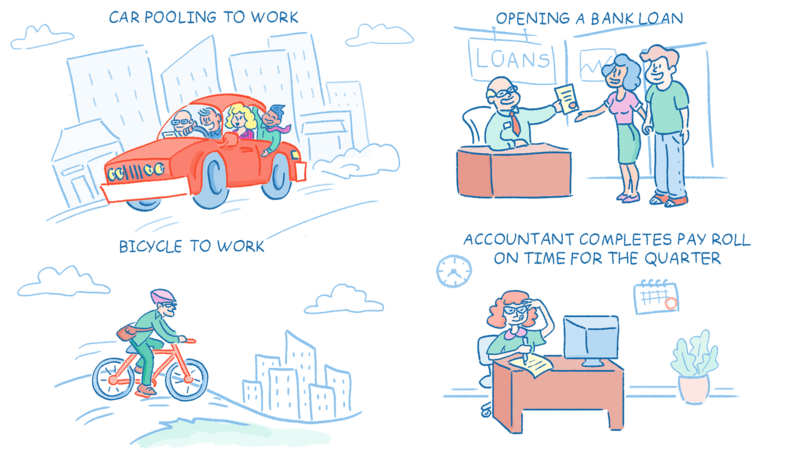 Pick a category for reporting and a role for who can complete the task. Also choose a value that can be tied to points or a bonus. A weekly wellness report, security certification, or following safety protocol, are all ideas for an employee incentive app. Staff can report tasks in Chrome, Outlook, Sharepoint, from this website, and more. Managers are notified when their direct reports complete the tasks. They have access to review and approve all their direct reports in the manager portal. Managers and admins get a report of which tasks were completed by whom and what is the value of those tasks for a possible bonus or recognition. A list of possible employee incentive ideas you can use in Recognize. Make sure staff are rewarded for their awesome behavior. Start incentivizing today. Along with Recognize's peer recognition, nominations, anniversaries, rewards, and awards.